Google MapsWhere the incident took place. 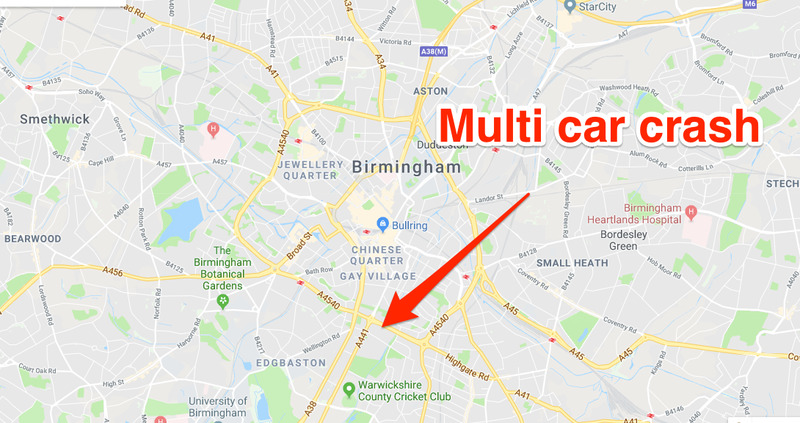 Six people are confirmed dead after a horrific crash involving multiple cars in Birmingham, England. A seventh remains in critical condition. 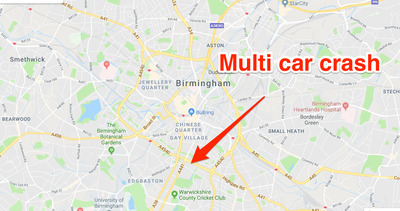 Six people have died in a horror crash involving multiple cars in Birmingham at 01.00 local time on Sunday. A seventh remains in critical condition. A second vehicle involved in the incident was “a black cab” and was on it’s side. “Sadly, there was nothing that could be done to save the driver and he was confirmed dead at the scene,” the spokesperson said. “The man and woman in the back were rapidly extricated. Unfortunately, it was not possible to save the woman and she was also confirmed dead at the scene. Four men were in the third car, three of whom died at the scene. The fourth was rushed to Queen Elizabeth Hospital in Birmingham. The stretch of road from Islington Row to Bristol Street is expected to remain closed for the rest of the day.